With a fleet of 92 trucks, mostly Kenworths, American Rock was an early adopter of the new Kenworth T880S with set-forward forward axle. Now the company operates four T880S mixers with McNeilus drums, and one T880S Super Dump. 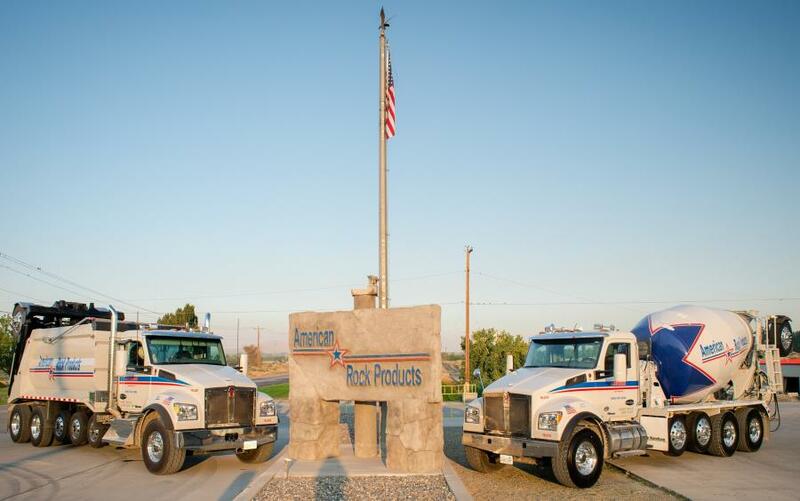 American Rock Products is a premier provider of aggregate and redi-mix concrete products in the Columbia Basin region of the Pacific Northwest. Founded in 2001, this subsidiary of Eucon Corp. now operates concrete plants in Richland, Pasco, Kennewick, Walla Walla, and Prosser, Wash., and in Hermiston and Boardman, Ore., as well as a portable batch plant. No job is too big or too small for American Rock — from 50,000 yds. of concrete highway jobs, commercial industrial jobs, dam projects for the U.S. Army Corps of Engineers, to 2 yds. of concrete for sidewalk repairs in someone's front yard. Between these extremes, the company pours endless yards of concrete for buildings, schools and home foundations. With daily deliveries to a broad customer base, most loads are within 25 miles of an American Rock plant. In more remote regions of its northern Oregon market, trucks might travel as far as 60 or 70 miles. Specialized mixer trucks are intended to run for many years, so there's a lot to think about before buying new trucks, said Blagg. The Kenworth T880S with PACCAR MX-13 engine delivers 510 hp. “With the right horsepower, torque and correct gearing, the truck doesn't have to work as hard and that means a little better fuel mileage, too,” said Blagg. Driver Justin Hardin appreciates the comfortable cab. With a quality truck like the T880S, drivers tend to appreciate their equipment more and take better care of it, Blagg said.